Thursday, May 2, 2019 - Highschool Teams @ 10a.m. Friday, May 3, 2019 - Longarm & Domestic @ 10a.m. Competition will stream LIVE through Facebook. Four teams will be selected for the competition in the Stitching Showdown 2019 based on competition entries submitted.Each team will receive a basket with pre-cuts and sewing notions to finish a quilt top using the creativity of your team. A judge will declare the winner based on certain criteria announced before the competition begins. 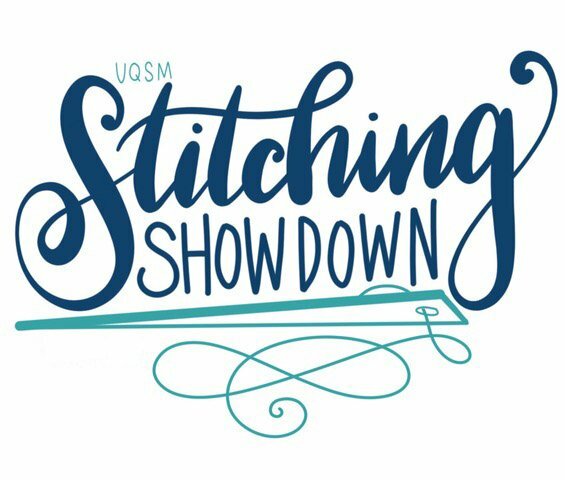 Two teams will be selected for the competition in the Stitching Showdown 2019. Each team must come prepared with 3 possible themes to be placed in a hat." One theme will be picked and the Stitching Showdown will begin promptly at 10AM. The Stitching Show Down Challenge Quilts will be part of a silent auction for Sew Much Hope. The silent auction will take place starting Friday, May 3th at 6:00PM through Saturday, May 4th at 10:30AM. The minimum bid for each quilt is $100. You can read all about Sew Much hope on their website www.sewmuchhope.org.